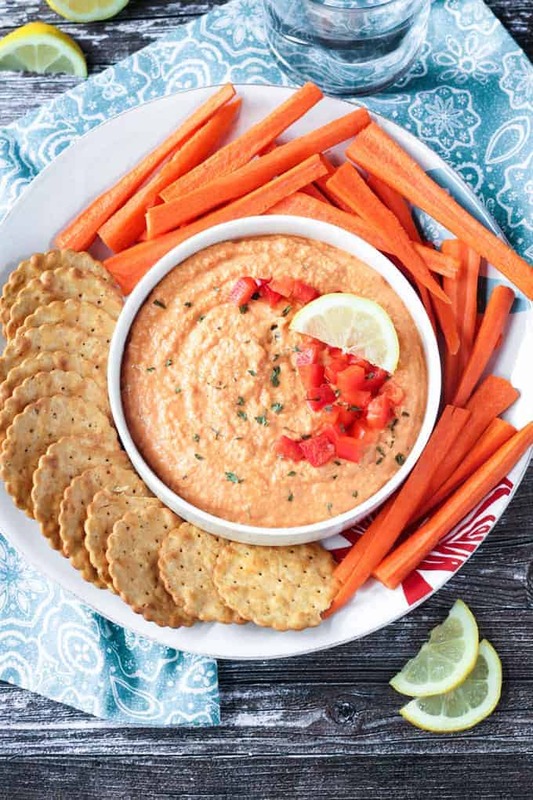 Roasted Red Pepper Hummus – creamy, smooth, and flavorful, this easy hummus recipe will become your go-to for snack time. Pair it with crunchy raw veggies, whole grain crackers, or spread it on toast. My kids eat snacks like it’s their job. I can have a fridge and pantry full of need-to-be prepared items and they’ll tell me there is nothing to eat. They want food at the ready! If I have cookies and sweets around, they’ll gladly scarf those down. But they’ll just as happily eat nutritious foods, too, if they are available. That’s why I always have a batch of hummus on hand! 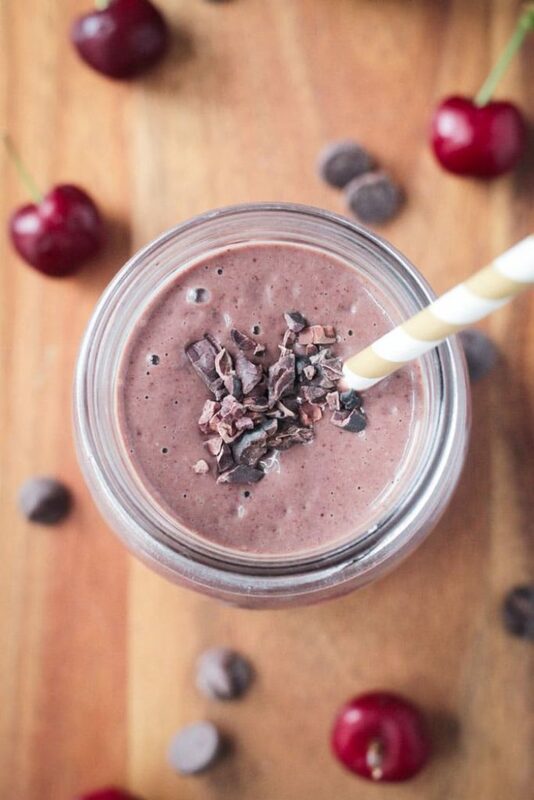 I like to change up the flavors every now and then, but this is our favorite recipe! Roasted Red Pepper Hummus is super easy, super flavorful, and super versatile. Homemade hummus is so easy to make! Throw everything into your food processor and blitz until smooth. 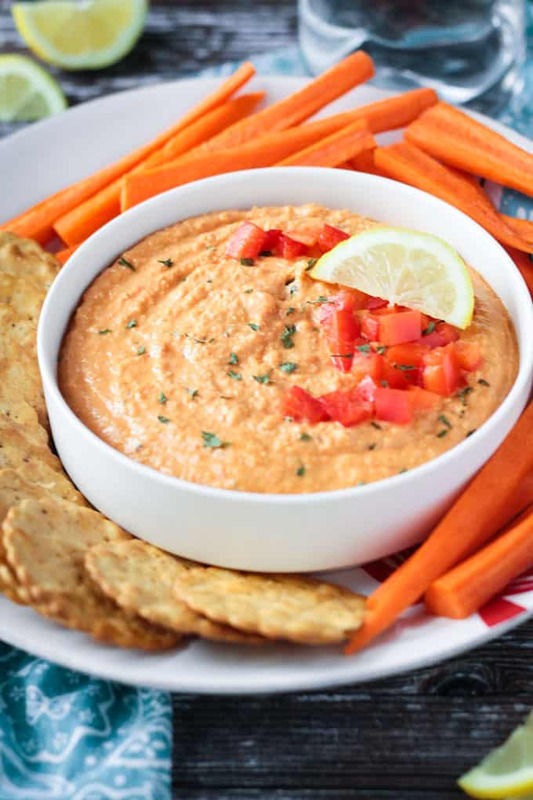 This Roasted Red Pepper Hummus is made using traditional hummus ingredients (chickpeas, garlic, tahini, lemon juice) and the addition of the roasted red pepper. I generally use canned chickpeas, store bought tahini, and jarred roasted red peppers for convenience. You could certainly cook dried chickpeas, roast red peppers in the oven, and even make your own tahini, but that would make this a much longer processes, and we are all about quick and easy in this house. A bonus of using jarred roasted red peppers is that they are much more liquidy and therefore I don’t add any oil to this recipe. If you find you need to thin it out a bit, a few tablespoons of water works just fine. Of course, if you want a bit of a richer taste, feel free to add a few tablespoons of extra virgin olive oil. Another favorite recipe of ours is my Spicy Hummus. Just add your favorite salsa!. I hope you love this Roasted Red Pepper Hummus as much as we do. 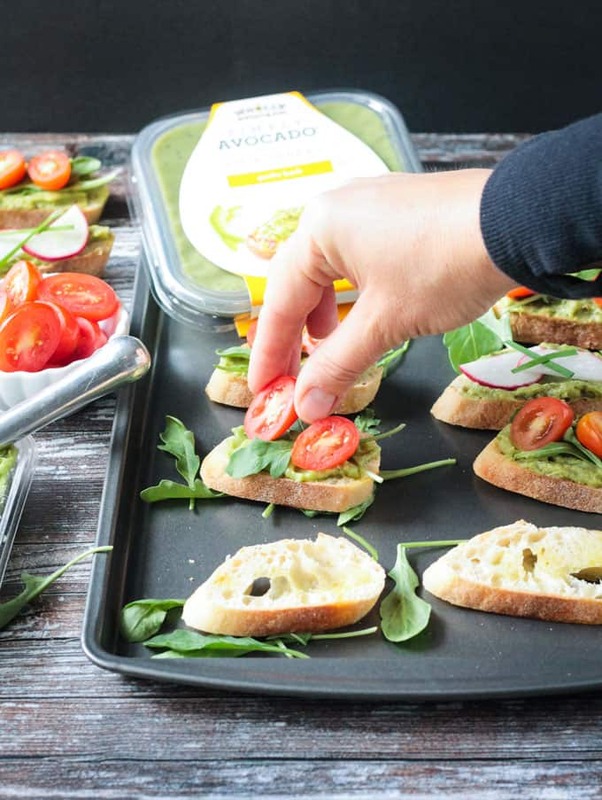 Pair it up with your favorite raw vegetables, crackers, pita chips, or use it as a sandwich spread. Whichever way you enjoy it, please come back and let me know in a comment below with your feedback and star rating. 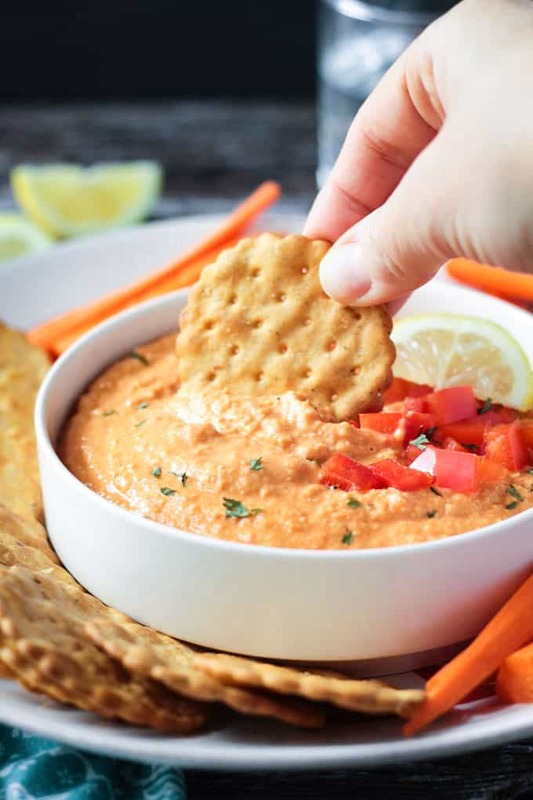 Roasted Red Pepper Hummus - creamy, smooth, and flavorful, this easy hummus recipe will become your go-to for snack time. Pair it with crunchy raw veggies, whole grain crackers, or spread it on toast. With food processor running, drop in garlic clove and process until minced. Turn off processor, scrape down sides and add chickpeas, tahini, cumin, lemon juice, salt and roasted red pepper. If you want to thin it out a bit, drizzle a few tablespoons of water (or oil, if desired) in the top of the food processor while it's running. Use as a spread for sandwiches or as a dip for veggies, crackers or pita chips. Yum! Delicious! 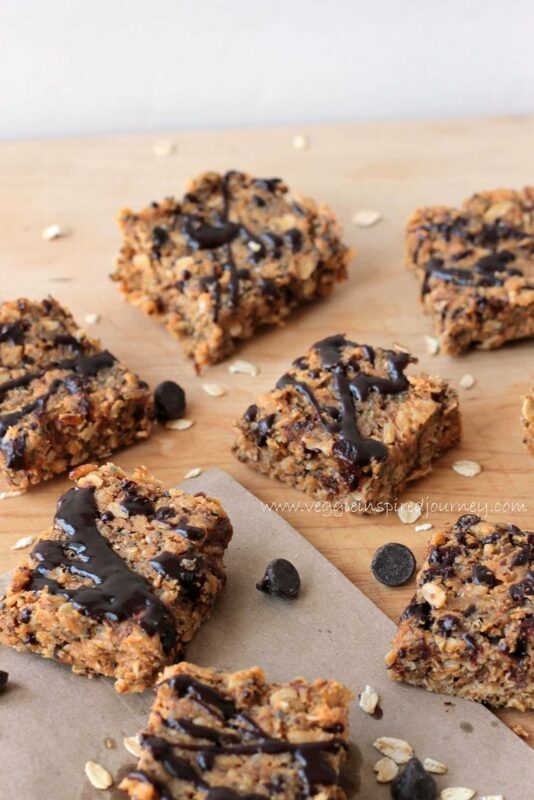 Easy to make and definitely easy to eat! So happy you love it! Hope you are enjoying your new food processor, too! 🙂 Thanks, Kelly! This recipe is fantastic! I usually hate hummus but this is one recipe I gobble up! Yay! I’m so happy you love this one, Kristen! It’s our fave too! Thank you! My kids would love this too! Super easy! Yes, it’s so easy! Thanks! Enjoy, Karly! Thanks, Albert! These kids are going to eat me out of house and home when they get older! LOL! Glad you all enjoy hummus too!